The GA FTD Aircraft Flat Tire Dolly Towbar can be used to tow most aircraft with a nose wheel gross weight of up to 6,000 lbs. 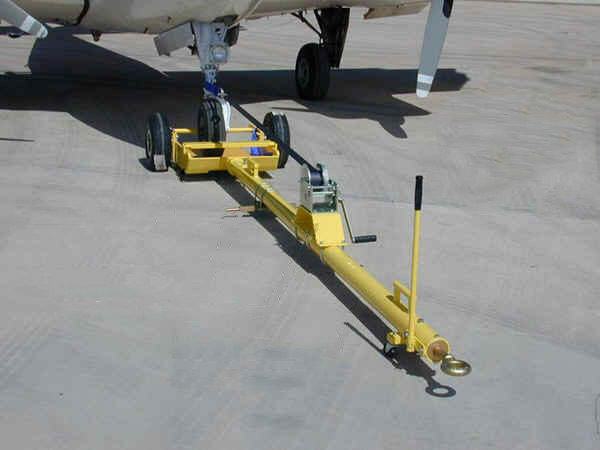 This towbar can be used in cases when it is necessary to lower the tail of the aircraft to get into some T-Hangars. 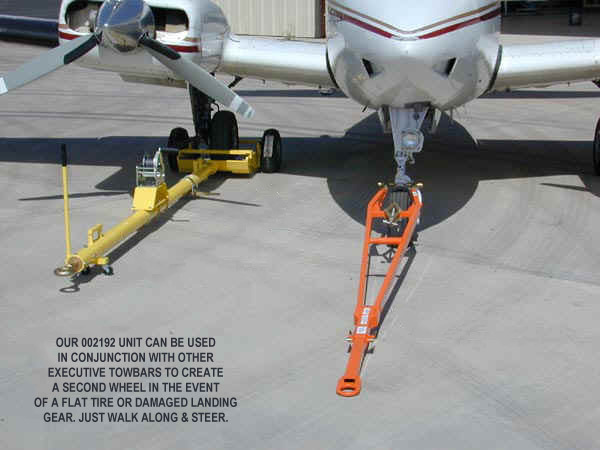 The GA FTD is designed to be easy on the nose gear; the strap and tires absorb abrupt towing starts and stops. Comes complete with winch. 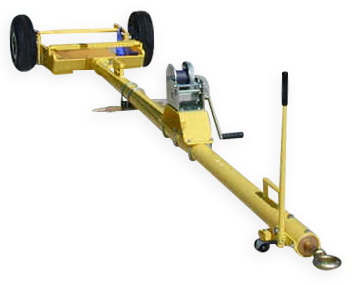 If you would only like the flat tire dolly towbar head (attaches to AERO Specialties TB1 towbar), select the “Flat Tire Dolly Towbar Head Only” option when requesting a quote.